This past Fourth of July weekend was exciting to say the least. That’s usually what’s expected when everyone gets together to celebrate our country’s independence. There’s franks and there’s fireworks. And then, of course, there’s the less talked about, but equally important third “F”: Free agency. Just because a holiday’s in session, that doesn’t mean the movers and shakers of the National Basketball Association are taking a break. There are still conversations to be had and deals to be made. We’ve seen movement in both the Central and Pacific Divisions, but a lot of the major decisions have happened elsewhere. Following this weekend, it’s safe to say we’re starting to see an interesting shift in the balance of power. After the Golden State Warriors showed what it takes to be a true champion, other teams within the Western Conference needed to step up their game this offseason, or risk another year of coming up just a little bit short. While changes have been happening all over the NBA, there is one division that has certainly managed to grab our attention since the free agency period began to pick up steam. With that being the case, we find it imperative to keep you well-informed and up to speed. Therefore, with the 2015 NBA free agency period winding down, here’s your Cheat Sheet to the NBA’s Southwest Division. Before we get into the main goals of the Memphis Grizzlies this offseason, we have to give them credit for the three-year, roughly $18 million deal they worked out with Brandan Wright. For this kind of money, the Grizzlies got a great value for a guy who can be helpful in the front court. We like this move. However, if Memphis wishes to keep this from being a disastrous offseason, then it better get a deal finalized with Marc Gasol. According to ESPN’s Marc Stein, the two sides are working toward a five-year max deal that will be worth over $100 million. 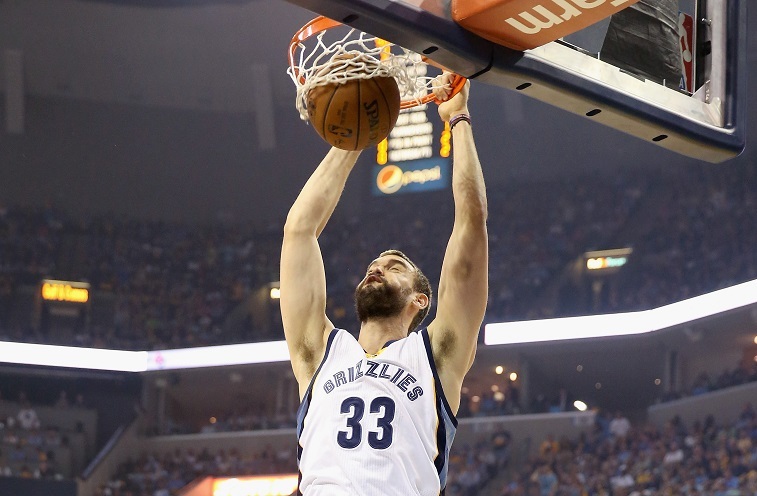 This is something that both the Grizzlies and the talented center are interested in getting done. This past season, Gasol averaged 17.4 points and 7.8 rebounds per contest, made his second All-Star Game, and was named First-Team All-NBA. We’d be extremely surprised if the two parties did’t come to an agreement real soon. Fortunately for us, we didn’t have to wait too long. According to Yahoo Sports’ Adrian Wojnarowski, Gasol and the Grizzlies have, in fact, agreed to terms on a five-year max contract, worth over $100 million. 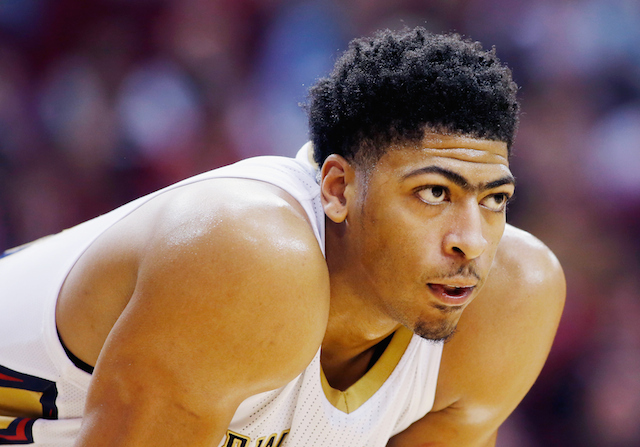 With regards to the 2015 free agency period, the New Orleans Pelicans had one priority, and one priority only: Anthony Davis. The former Kentucky standout is a once-in-a-generation type of talent and the perfect building block for an organization with championship aspirations. If you’re able to to lockup a guy like that, then you’re already heading in the right direction. Mission accomplished. We’re sure Pelicans fans feel the same way about the star center. 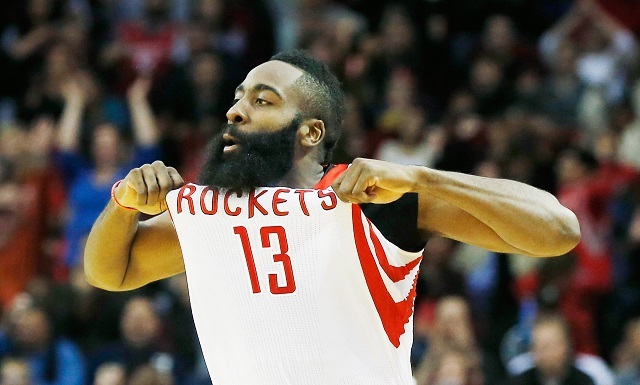 The Houston Rockets showed themselves to be a strong and formidable team in the ultra-competitive Western Conference. The No.2 seed wasn’t able to get past the eventual champion Golden State Warriors in the conference finals, but proved — especially when James Harden (pictured above) is cooking — it had the makings to be powerful group for years to come. A smart play this offseason was re-signing point guard Patrick Beverley to a four-year $23 million contract.In 2014-15, Beverley averaged 10.1 points, 4.2 rebounds, and 3.4 assists per game. Though his season was cut short by a torn ligament in his left wrist, the Rockets were well aware of the 26 year old’s value, and expect him to be a solid contributor in the upcoming season. Of course, Beverley wasn’t the only player Houston opted to retain this offseason. With most of the key pieces returning for the 2015-16 season, if Houston can continue to improve and build off its latest success, there’s no reason to believe the organization won’t be ready to challenge for the throne. If you ask around the National Basketball Association, it’s the San Antonio Spurs who’ve come away the big winners of free agency. Tim Duncan is returning for a 19th season, Manu Ginobili is ready to give it one more season, and Danny Green opted-in for a hometown discount of $45 million over four years. However, there are two major signings that potentially make San Antonio the odds-on favorite to win the 2016 NBA Championship. Reported Deal: five-year, $90 million. Heading into this offseason, it became crucial to keep small forward Kawhi Leonard in San Antonio. And with the two sides coming to an agreement on a max contract worth $90 million dollars over five years, the 2014-15 Defensive Player of the Year gets paid and the Spurs retain one of the brightest young talents in the NBA. There’s no doubt that Leonard is the man in San Antonio. 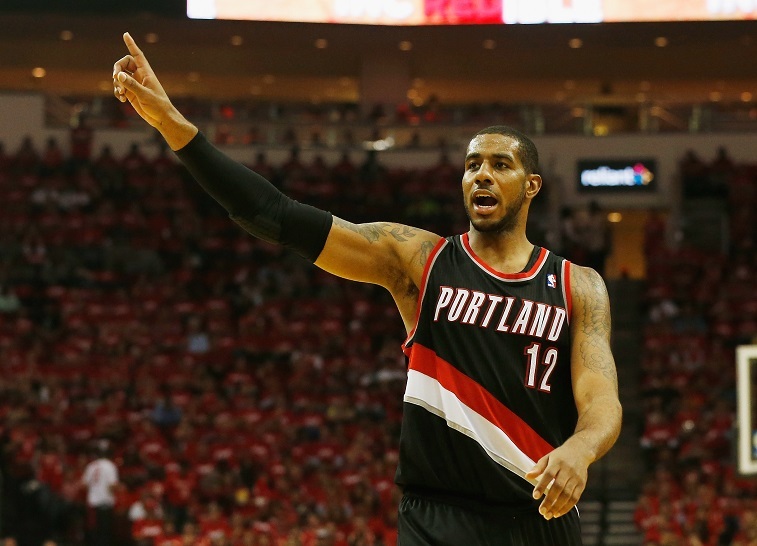 The biggest prize of this offseason was power forward LaMarcus Aldridge (pictured above). This past season, he averaged 23.4 points and 10.2 rebounds per game and was named to his fourth straight All-Star team. The former Longhorn had a multitude of suitors pining for his attention, but in the end, he decided the right move was to head home to Texas. And just like that, the San Antonio Spurs may very well be the scariest team in the NBA. Which makes us beg the question: Is it really fair that the Spurs also just agreed to terms with free agent power forward David West? No. It’s probably not. 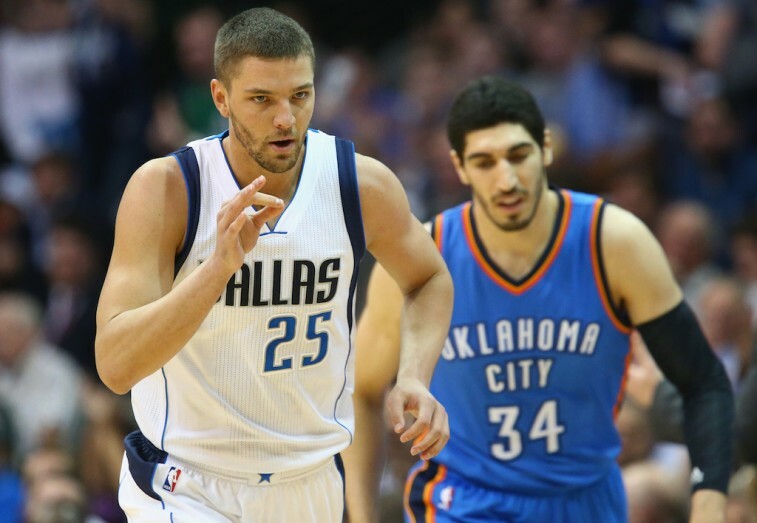 Dallas may have lost center Tyson Chandler to the Phoenix Suns, but with Chandler Parsons laying on the charm and putting on the full-court press, the Mavericks have certainly made a splash in the 2015 free agency period. We’re not quite ready to dub them the top team in the Western Conference, but there’s no denying the Mavs will be ready to make a run at the Larry O’Brien trophy. Although Wesley Matthews is still recovering from a torn Achilles injury, the Mavericks showed how much they valued his services by presenting the shooting guard with a four-year offer. In Matthews — when he’s healthy — you get a top-notch 3-and-D who works hard and plays unselfishly. Losing Matthews to injury last season was crushing for the Portland Trail Blazers, but the Mavs are excited to get a guy who averaged 15.9 points per game on 38.9% shooting from three last season. Despite the risk associated with his injury, Matthews is the perfect fit for this organization. 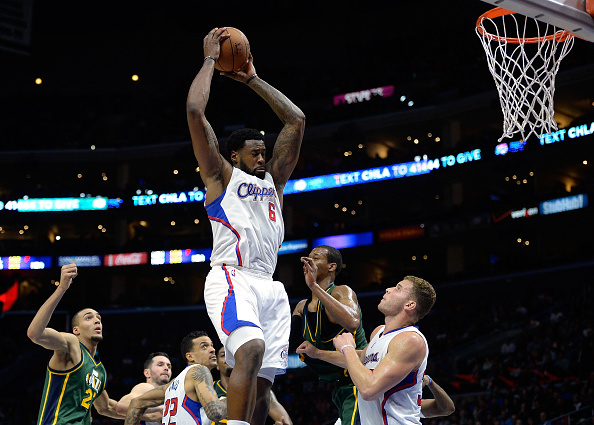 The Mavs worked tirelessly to woo center DeAndre Jordan (pictured above) and all that effort paid off, as the two sides came to terms on a four-year $80 million deal. Ask lead recruiter and small forward Chandler Parsons why he believes Jordan ultimately chose to take his talents to Dallas, and he’ll tell you it’s all about 6-foot-11 center’s desire to be the best. The Clippers’ loss, is the Mavericks’ gain. Dallas now has a monster double-double machine who’s led the NBA in rebounds the past two seasons, is athletic beyond belief, and protects the rim like nobody’s business. With all the moves being made in the Southwest Division, expect things to get super excited come the 2015-16 season.